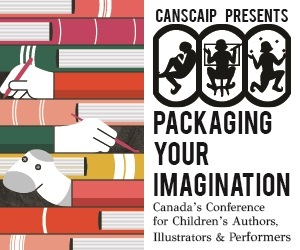 Due to overwhelming demand, CANSCAIP is now offering a full day oriented around Pitch Perfect, to connect you to multiple agents and editors. This optional day is offered SUNDAY OCT 19, at the same location as PYI. For more information, click here. in presenting this year's conference. Returning after overwhelming response are our Advanced-level sessions intended for established writers and illustrators as well as a session for Beginners. All other sessions are at the Intermediate level. The entire day, including refreshments and lunch, is only $180.00. Books: Books will be available for sale. Join us at 4pm for book signings by the presenters.